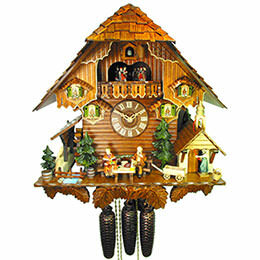 Premium clocks with elaborate decoration that reflect an authentic Black Forest feeling: That is the trademark of August Schwer Clock Factory in Schönwald. 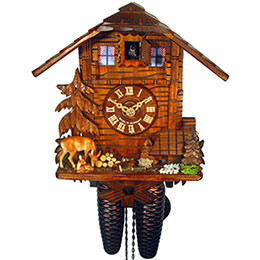 The company attaches importance to detailed designs and carvings, and spends a lot of time and a love for detail on this. 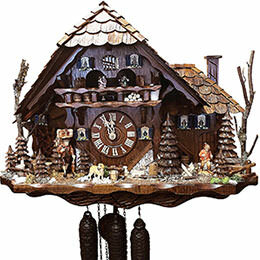 The company's clocks have accordingly often been awarded the public choice award “Black Forest Clock of the Year”, most recently in the year 2015. 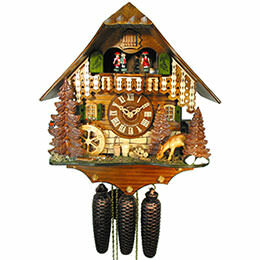 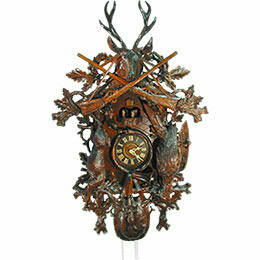 Its love for the Black Forest region can be seen in all departments of the Black Forest August Schwer Clock Factory. 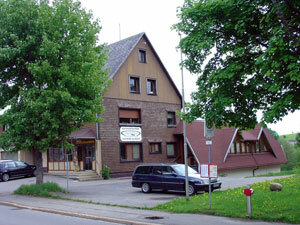 The company was founded in 1885 in Schonach in a guestroom of the Schlosshotel. 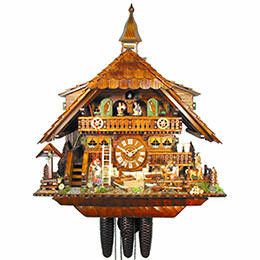 In the year 2000, August Schwer Clocks was taken over by its present managing director, Andreas Winter, who had been employed by the company for decades. 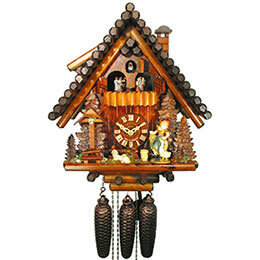 Typical for the Black Forest, above all wood from domestic forests is used in the manufacture. 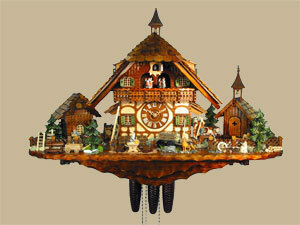 When that is not possible, metals from the region are used. 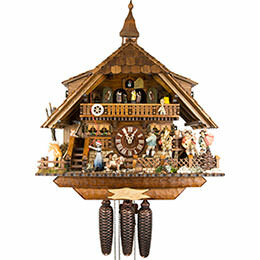 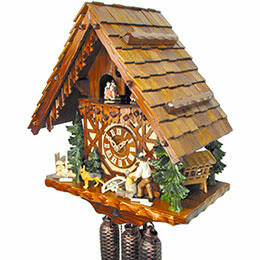 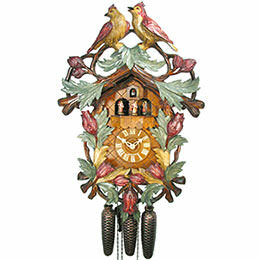 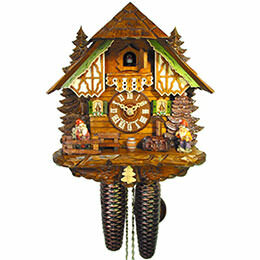 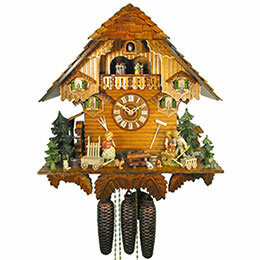 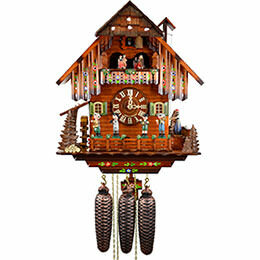 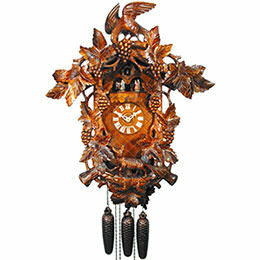 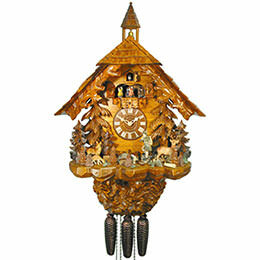 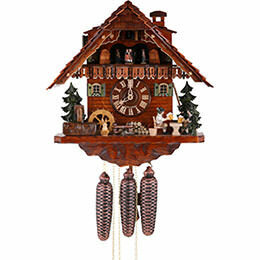 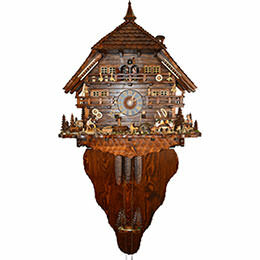 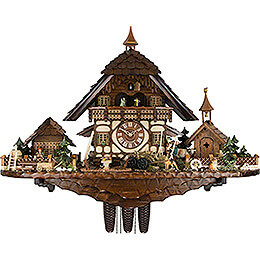 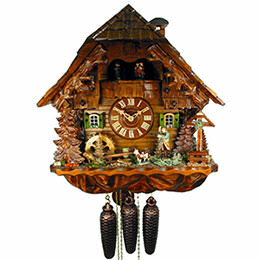 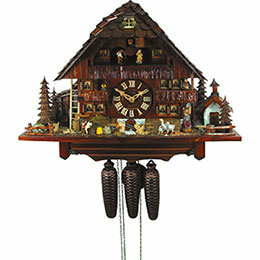 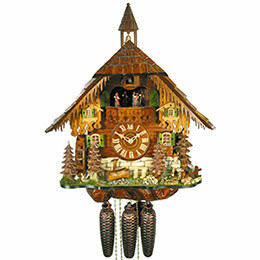 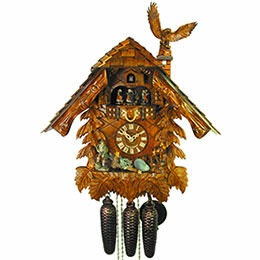 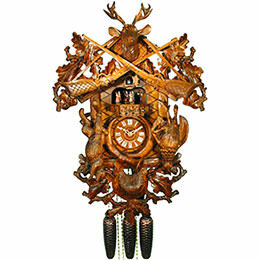 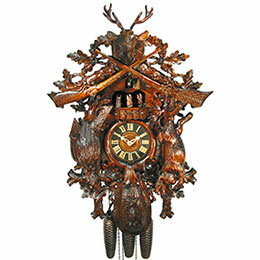 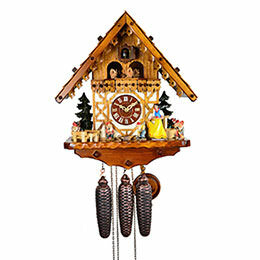 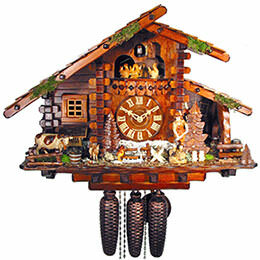 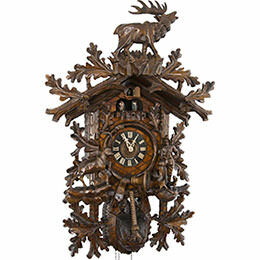 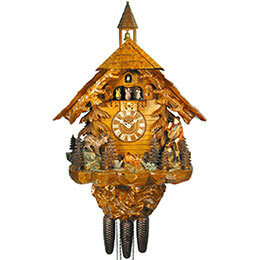 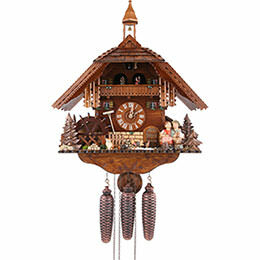 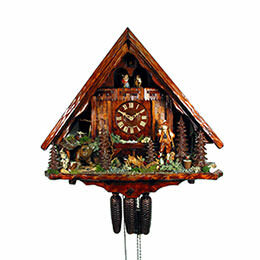 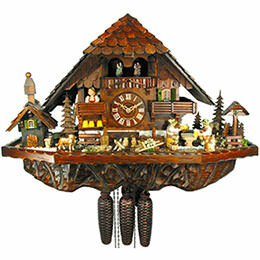 In general, August Schwer Cuckoo Clocks sees to it that as few raw materials and individual parts as possible from outside of the Black Forest are used. 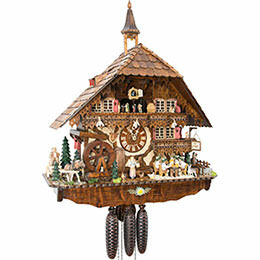 In terms of design, the company utilizes the characteristics of the people of the Black Forest: Taciturn, but dependable, imaginative tinkerers who focus on the product and not on its marketing. 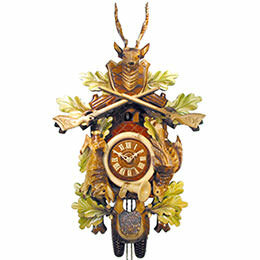 With a great love for detail, the staff at August Schwer dedicates itself to the opulently equipped clocks. 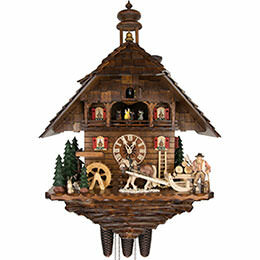 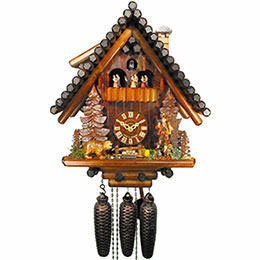 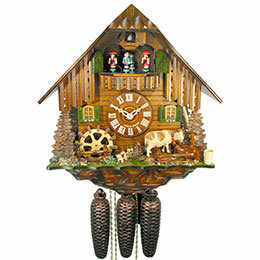 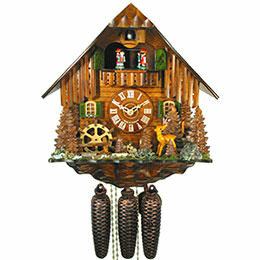 For the chalet clocks, they make a point of using authentic scenery, inspired by the country life in the region. 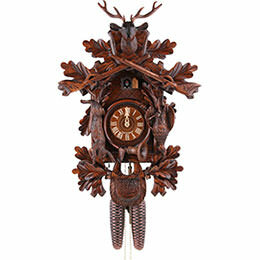 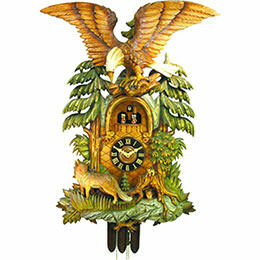 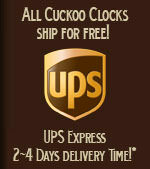 For the classically carved clocks, a great deal of time is spent on the extraordinarily accurate woodcarving. 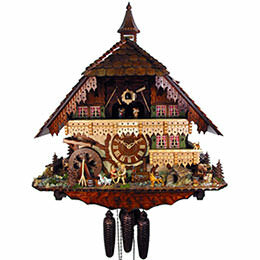 The unique character of the Black Forest region leaves its mark on each step of making a clock – be it the choice of materials, the design or the painstaking workmanship. 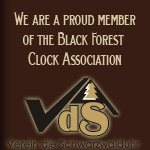 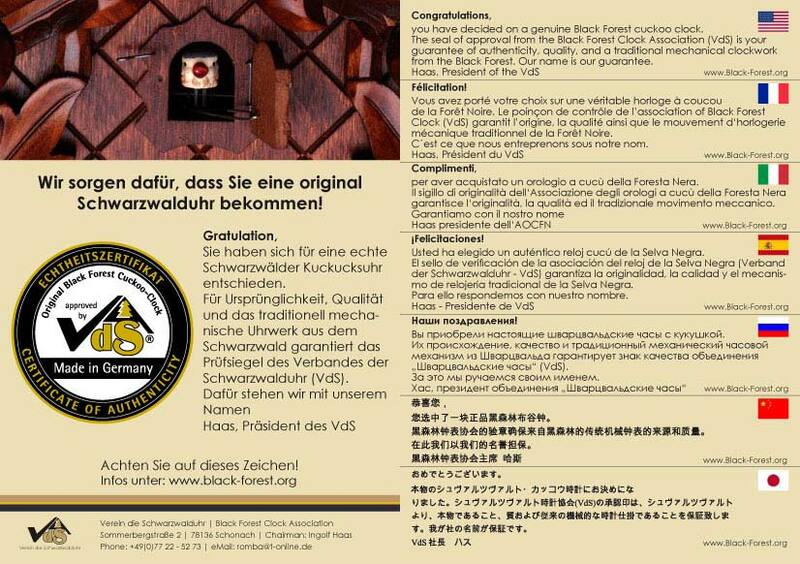 When you acquire a clock made by the Black Forest clock factory of August Schwer, you acquire a piece of the Black Forest.